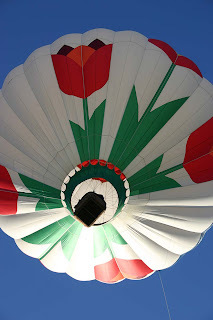 Yarn Tails: Finally - Balloons! 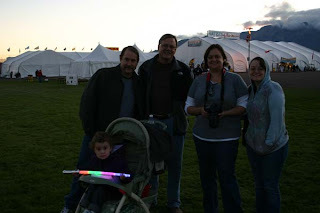 We were up at 5 a.m. (way, waaaaaay too early for me) and on the balloon field before dawn. 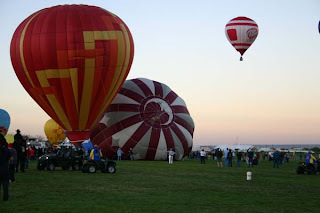 We missed Dawn Patrol (try again tomorrow) but were there for the initial launch and the fly-in - where balloons launch from off-site, fly to the field, and try to drop weighted flags onto targets; closest one wins the prize. 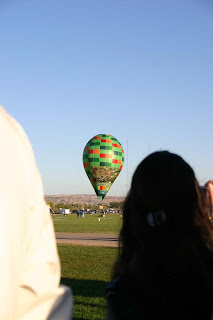 I worried that Addy would get scared when the balloons inflated - it's very noisy - but she was fascinated by everything. 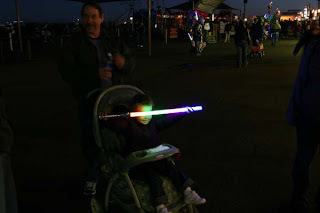 Daddy got her a light-up light saber - she called it her 'hocus pocus' (as in magic wand) - and she was good to go. 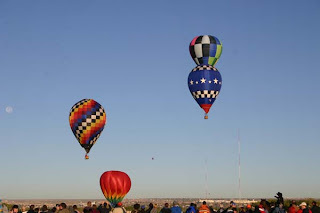 Most of the morning went well - lots of balloons, lots of color, and lots of shopping in the 1/2 mile (!!) of on-site vendors - but we did witness one horrific accident. 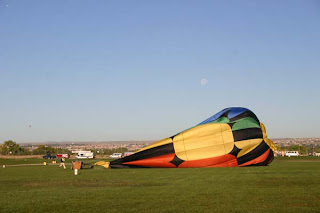 A balloon flying onto the field clipped a tent, the passenger fell out and the pilot crash landed the damaged balloon right in front of us. The pilot suffered minor injuries but the passenger was badly hurt. (News video is here.) On a positive note, we were impressed with how fast emergency service personnel responded. 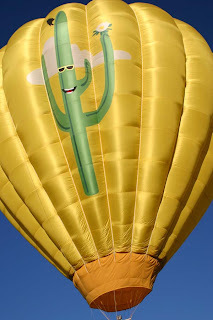 The balloon was barely on the ground before it was surrounded by police, fire and Fiesta personnel. 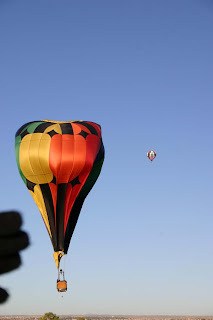 Tomorrow is our second balloon day - if the winds die down enough for them to launch in the morning. Crossing fingers for a successful, accident-free day.